Finding regional Chinese cuisine is surprisingly hard in San Francisco so when we walked past this Shanghai (Hu) Cuisine restaurant we had to stop in. It was brunch time which means yum cha, pretty much my favourite meal of all time. The restaurant was not large but it was packed to the gills. Encouragingly we sat next to an excited group of foodie Chinese women having a ladies lunch. Not only did they look happy as anything with their food but we caught each other curiously checking out what dishes came to the table and had to laugh... one of those happy moments that transcends language. 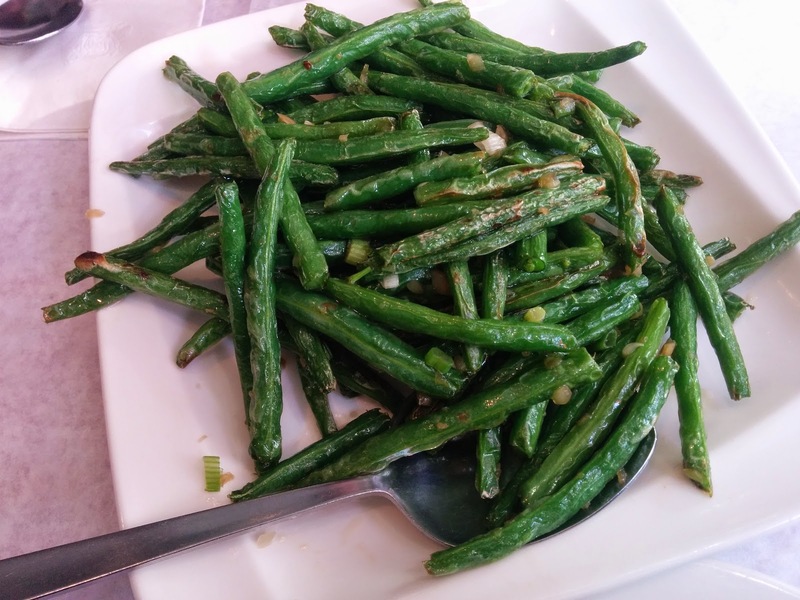 Green beans cooked with caramelised onion, shallots and garlic. It's usually a good idea to get greens with dimsum to offset the fatty heavy dumplings. The sweet onion was cooked to perfection. 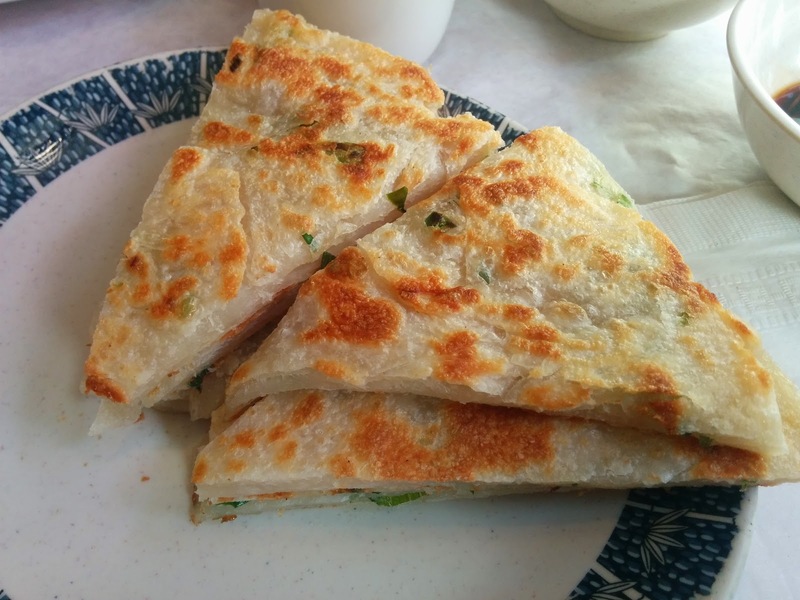 Soft crisp shallot pancake is fried in crispy layers. These pancakes were huge and I admit we were unable to finish them despite being delicious. For $2.50 these aren't much more expensive than buying them from the bakery cold. 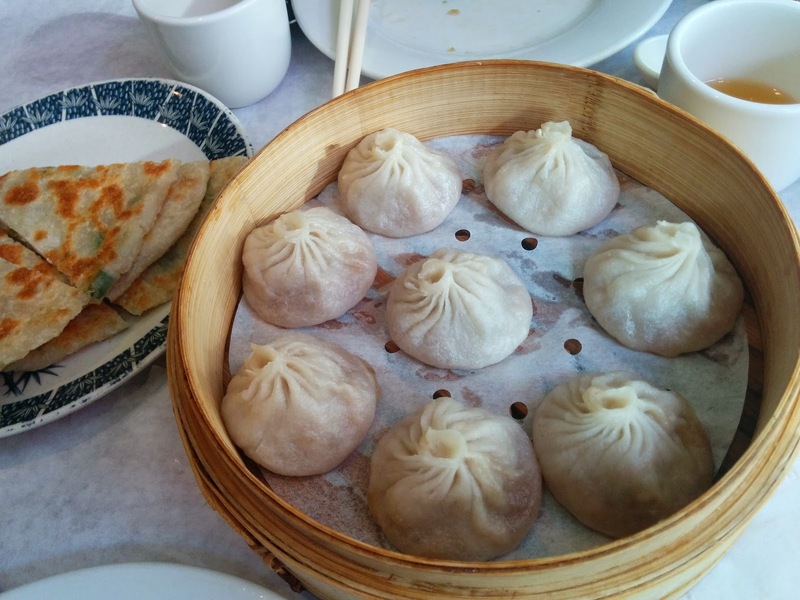 Once can't eat at a Shanghai restaurant without ordering xiao long bao - a refined soup dumpling that fills with fragrant liquid when steamed. The secret to xiao long bao is making a jellied stock in the dumpling mix that melts when heated. This rendition was excellent, with paper fine pastry perfectly formed using a traditional 18 fold method. This dish was what made the stop worthwhile and I will be tracking it down again on future trips to New York. I assumed when I ordered it that it would come in a standard chilli oil and vinegar sauce. 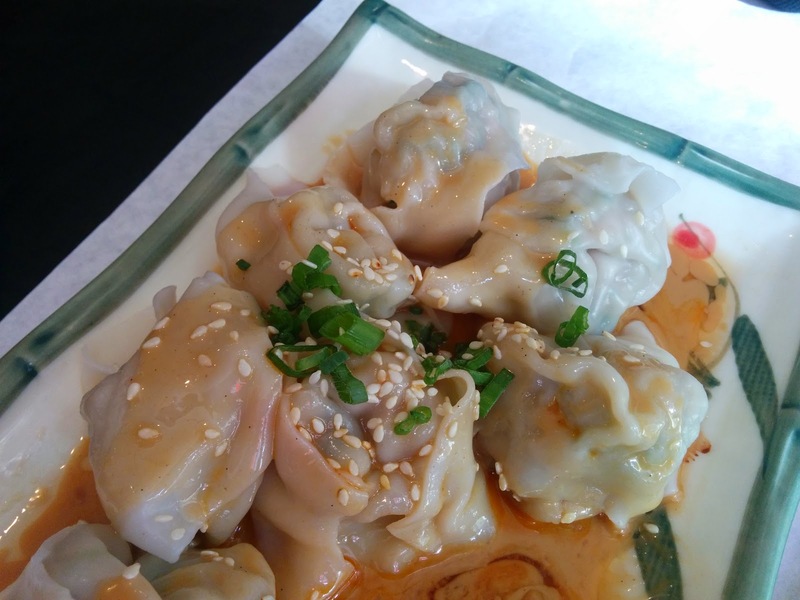 Instead hearty pork and shallot dumplings are boiled and served in a sticky dan dan mien sauce - a combination of ground sesame paste and chilli. If I could have I would have licked the plate... just sensational. At under $6 this is one of the best bargains in New York. There's only so much two people can eat so sadly we didn't get to explore the menu as much as I would like but there were plenty of beckoning plates like pan fried breakfast buns, pancakes filled with beef, crab xiao long bao, beef soup, triple delights and sticky Shanghai fried meats. Shanghai 456 is one of those hole in the wall eateries that proves that good food in New York doesn't need to be all fancy menus and celebrity chefs... good simple food done very well makes this place worth a walk in Chinatown.